Breckenridge Backstage Theatre Presents Almost, Maine. 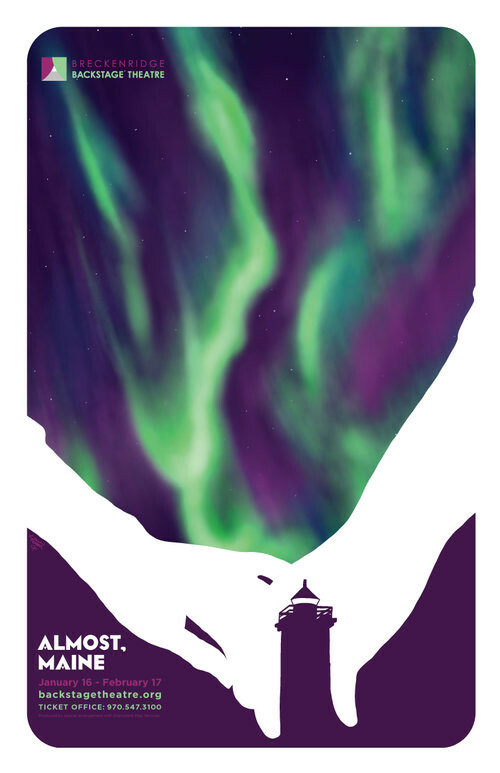 A mixture of love stories, all intertwined, unfold under the Northern Lights in Almost, Maine, a town not quite Maine and not quite Canada. Lovers meet, lovers part, and each story plays its own role in the lives of Almost residents and visitors. Join us on a journey of love, loss, growth, and strength in Almost, Maine. This production is running from Jan. 16 until Feb. 17.